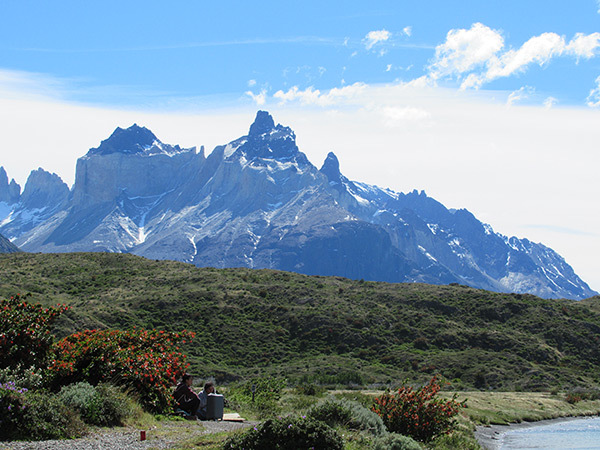 Torres del Paine National Park is a world biosphere reserve that is home to a variety of plant and animal species. 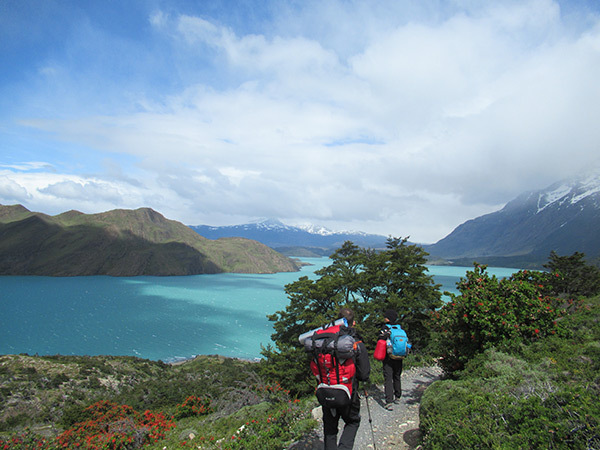 the Torres del Paine "O" Circuit is the full loop around the Cordillera del Paine—the "W" plus the more remote back side that gets fewer trekkers. All told, the total distance of the "O" is approximately 110 kilometers depending on side hikes. 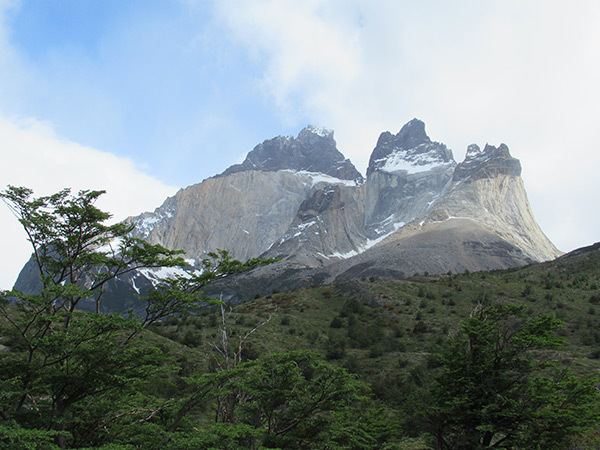 The route can be walked in either direction; this is one of the premier hikes in Patagonia and will help you beat the Torres Del Paine crowds. We will pick you up at the International airport in Punta Arenas or pick you up in Punta Arenas City, Chile. Once we have everyone and our luggage we will begin the 3-hour drive to the town of Puerto Natales through the beautiful Patagonian pampa Upon arrival in Puerto Natales, we will check into our accommodation. Briefing with our trekking guide to discuss all details of our trip program. After the breakfast in the morning then hike to lago Dickson located in the dickson valley, this stretch is the easiest but of particular interest to lovers of flowers where, depending on the season, will have to see orchids, Calceolaria, violets and Oxalis. Lake side Paine through a path with no outstanding views of countless mountains within which highlights the Cerro Shield and Head of Indian Hill (see the profile of an Indian on the rocks.) Finally we arrived at birth Paine River, from where he appreciates the incredible Cerro Cube and Lake Dickson. Hike 7 hours, 18 km. This is the most difficult hiking day of the Full Circuit Trek; this is the day most exposed and difficult circuit, while a dramatic beauty that deserves the effort. the trail starts with a 2-3 hours of climb up to the John Gardner Pass to 1200 meters sea level. The southern Patagonia Ice Cap rewards us with endless views of glaciers, mountains and waterfalls in every direction. Grey Glacier spreads in the distance at 17 miles in length, 3 miles wide and nearly 100 feet tall. After climbing vertical ladders and crossing a suspension bridge we arrive at our campsite. Overnight at Grey Camp ground. Then descend by a sharp slope to reach the camp Paso, where they spend the night. Hike 6 hours, 12 KM. We will begin on board the ice, a path with ups and downs, through fallen trees and in contrast to the lush green forests of Nothofagus. As we move begin to appear on Cordon Olguín, with its huge murallones granite. With a little luck we will have the opportunity to witness a detachment of the front wall of Grey Glacier, to finish in a soft sedimentary sand beach, (Camp Grey). Hike 6 hours, 10 KM. Today you have the opportunity to take an optional excursion on the glacier Grey. (The trip on the Glacier grey is not included and has an approximate cost of $ 140 per person.) Taking a zodiac for 20 minutes to reach the west side of the glacier, where specialized guides us provide the necessary technical equipment (crampons, piolet and harness). We started a hike on the glacier, taking unique views of cracks, intense blue, where if time permits, we may experience in climbing some of its vertical walls. Return the same way the refuge Grey to enjoy a good lunch. In the afternoon embark on a walk towards Lake Pehoe. 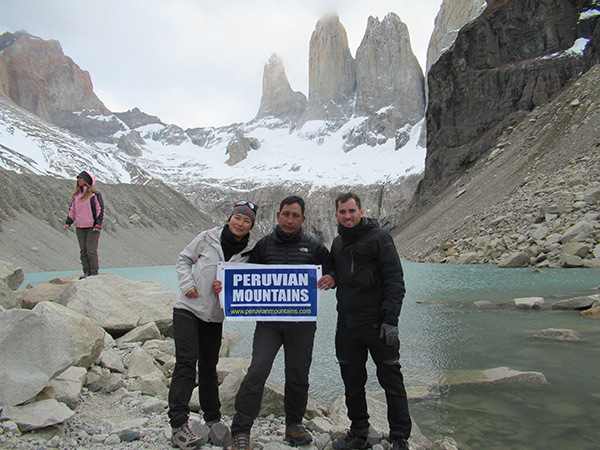 (1 hour zodiac, 3 hours in ice and 4 hours of walking, (Night in Camping Paine Grande). Hike 4 hours, 11 KM. After the last breakfast, we will start walk to the French valley. Bordering the south-western face of Paine Grande, the highest peak of the park, passing through the notary and coihue forests, to reach the suspension bridge of the French River and have the first views of the glacier. From this point we will ascend (300 meters) between an authentic natural garden, crossing lenga forest and ñirres, to reach the viewpoint of the Valley of the French where we will have a panoramic view of the park and enjoy a good lunch. We will return by the same way to our camp. We cross by catamaran through the lake, Pehoé to Puerto Pudeto where our bus will take us to Puerto Natales in a 2 hour trip. Walk 8 hours, 24 KM. 2 hours bus. 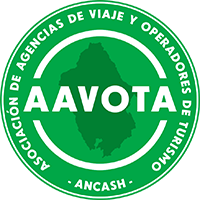 Our shuttle driver will come to our hotel and deliver you back to the Punta Arenas airport.